Are you a bargain hunter looking for a good deal in Iowa? Look no further than the Iowa Highway 141 Garage Sale and Walnut Antique Show and Flea Market. Don't forget to add these must-see events to your calendar! Hunt for secondhand bargains in west central Iowa at the Iowa Highway 141 Garage Sale. Held annually since 2003, the garage sale includes 21 towns and the stretches of highway between them. It promises 100 miles of great garage sales. Dealers and residents of all the participating towns (and non-residents with permission) offer a huge selection of merchandise. The garage sale is held every year on the first Friday and Saturday in August. Concessions are available along the route, from food trucks and local eateries. 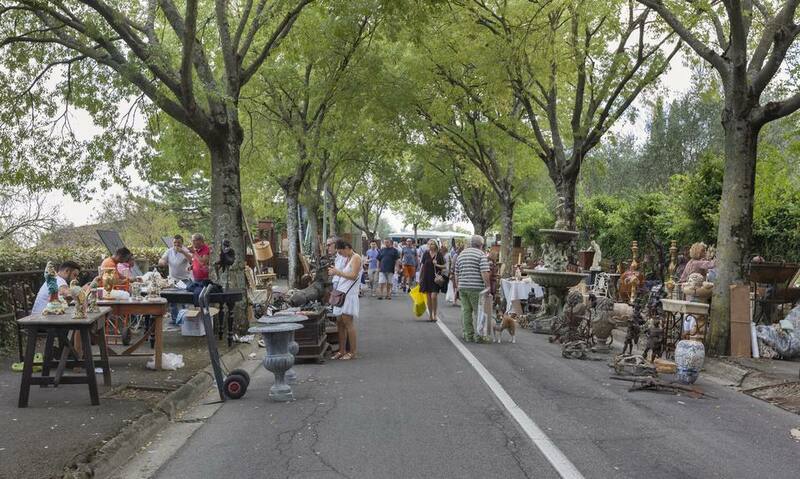 Expect to see family yard sales, pop-up flea markets, and professional dealers. Make arrangements for local lodging if you're traveling to the event from out of town. There are too many sales and stops to manage in a single day. Walnut, Iowa, hosts the Walnut Antique Show each Father's Day Weekend. The show brings in close to 300 dealers from more than 20 states for the three-day event. The 50,000 shoppers come for the antiques, festive street-fair atmosphere, and turn-of-the-century, small-town charm. Walnut bills itself as Iowa's Antique City, so you can expect the antique selections to be vast. Show organizers suggest you make a list of the things you are most looking for to keep your shopping on track. There are plenty of small items on sale too. Local organizations and bistros set up more food booths than you can sample in one weekend. Plan to stay for the weekend. You can't browse everything properly in just one day.